Finding the right fit when working with a financial professional is critical. It’s important to understand what you need and who can best serve you. At the center of the Lunaria Financial® approach is an innovative process that begins with discovery. 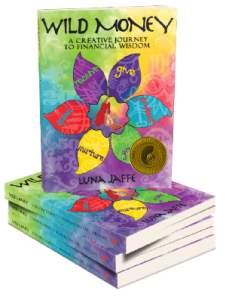 Using Luna’s Wild Money™ book and journal you will explore your relationship with money while addressing traditional financial planning activities such as cash flow management, debt reduction, estate and tax planning, insurance review and retirement projections. We differentiate ourselves by helping you identify core money strengths as well as areas that need shoring up. A financial plan is a road map— it evolves with you, as your goals change, as health shifts or careers evolve. It’s a process not a product. The key is to identity what matters, plan for what might get in the way, and take small steps in the right direction often. This way you are actively moving towards your dreams while living well in the process. We engage clients in an innovative, year long, financial planning process. We identify where you are right now, both internally (your personal relationship with money) and externally (your assets, liabilities, income streams and dreams) to create a living plan that holistically encompasses your life. We have expertise in socially responsible investing and “sudden money”—whether it be inheritance, divorce, sale of a business or sudden good fortune or selling a book, or movie rights. 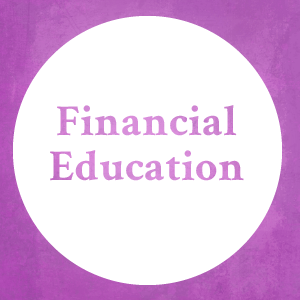 We are here to guide you through the emotional experience as you grow your skills and knowledge of money. Using Luna’s Wild Money™ process as the foundation, along with traditional financial planning questionnaires, we identify where you are. We look for your strengths, amplify your successes, discover obstructions on the path, and determine what tools and resources you need for the journey. Where do you want to be and how do you want to feel five, ten, twenty years from now? What dreams are untapped? Take action— get accounts allocated correctly, develop tax and estate planning strategies, automate savings and continue to transform your relationship with money. Your life isn’t static, and neither is your financial plan. It’s a roadmap that shifts as health, career, family, inheritance and other life circumstances change. You are building financial muscle, becoming more flexible and resilient— and most importantly, learning the value of paying attention to your financial world. $3,500 for the year-long process. Depending on complexity, the first year may reach to $6,000. 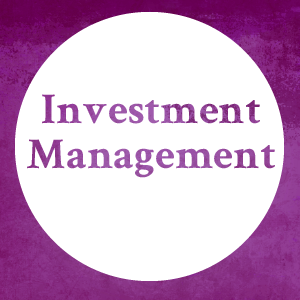 You can engage Lunaria Financial® for planning only, leaving aside investment management. Financial Planning fees are waived for clients with portfolios over $1M. Ready to get started? We have a short form for you to fill-in.